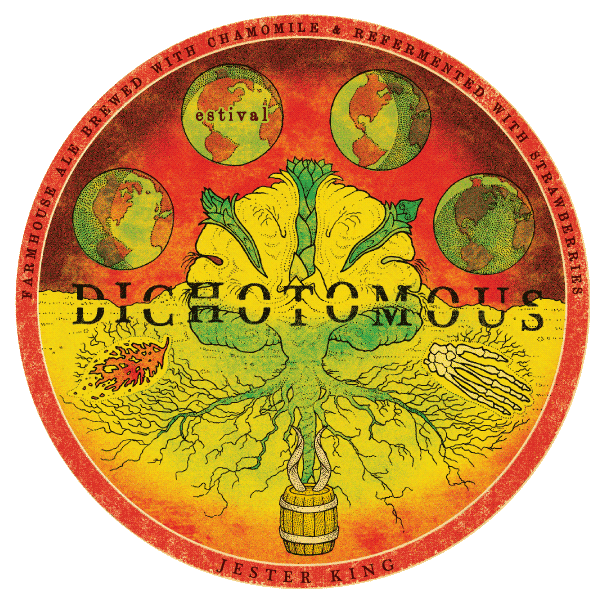 Jester King is releasing a new seasonal Estival Dichotomous following its Hibernal Dichotomous released in April 2014. This summer saison is brewed with chamomile and spelt, fermented with Jester Kings unique cultures and then refermented with strawberries where it matured in bottles, kegs and casks for over 3 months. At 6% and 1.000 FG this should be a great beer to enjoy.